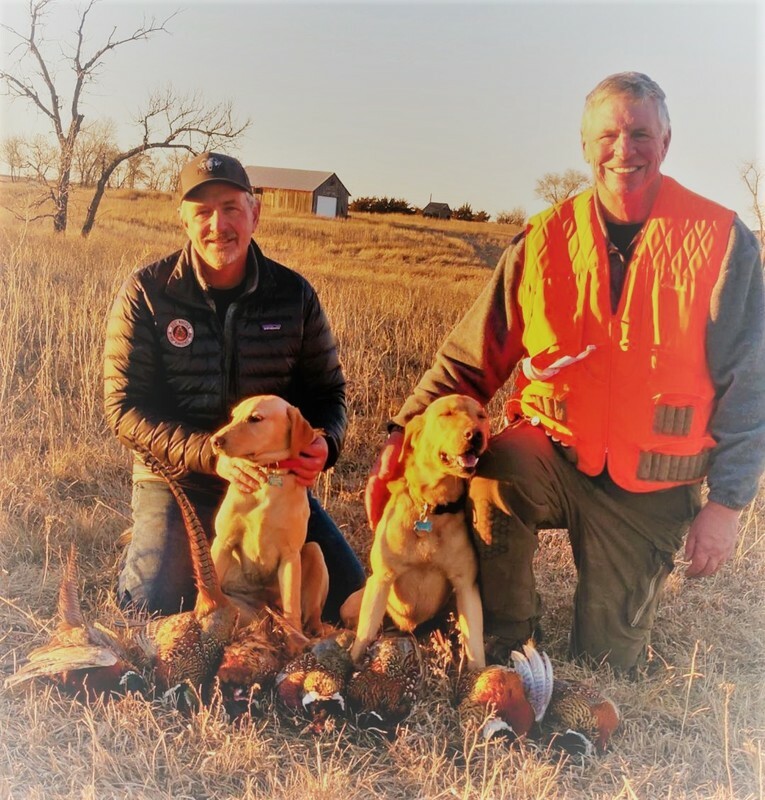 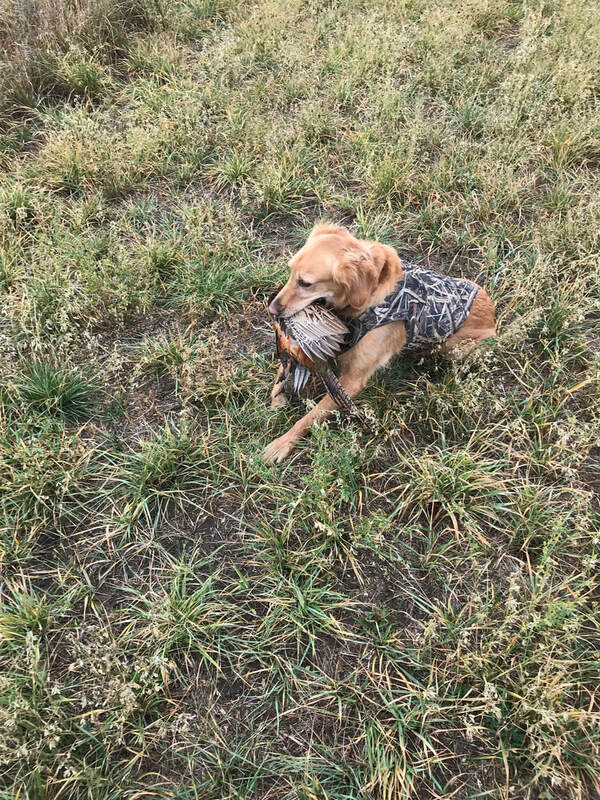 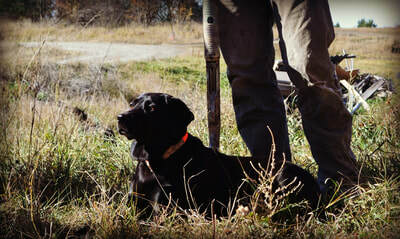 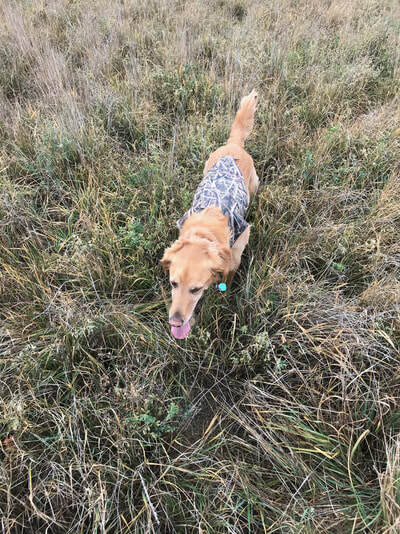 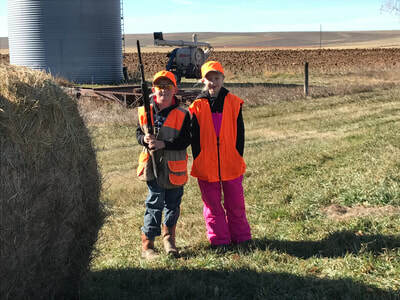 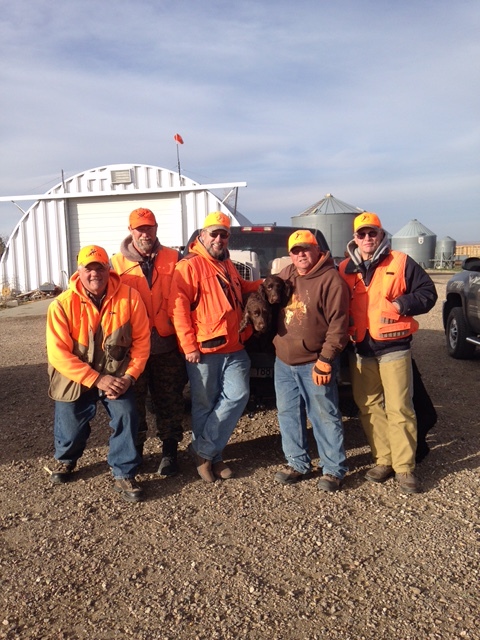 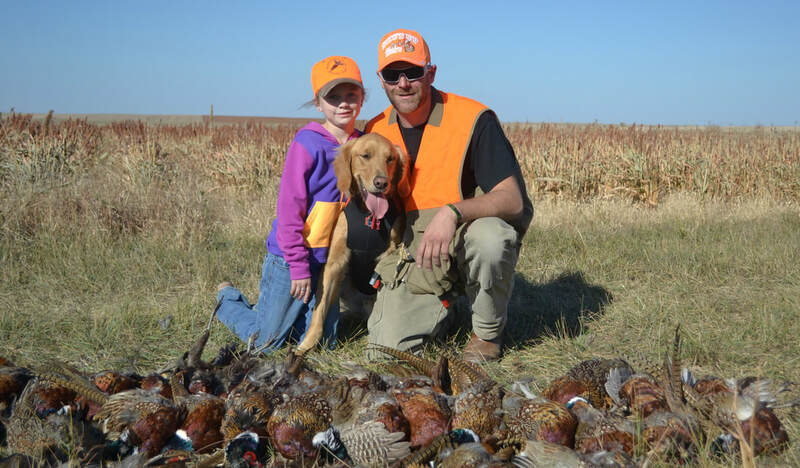 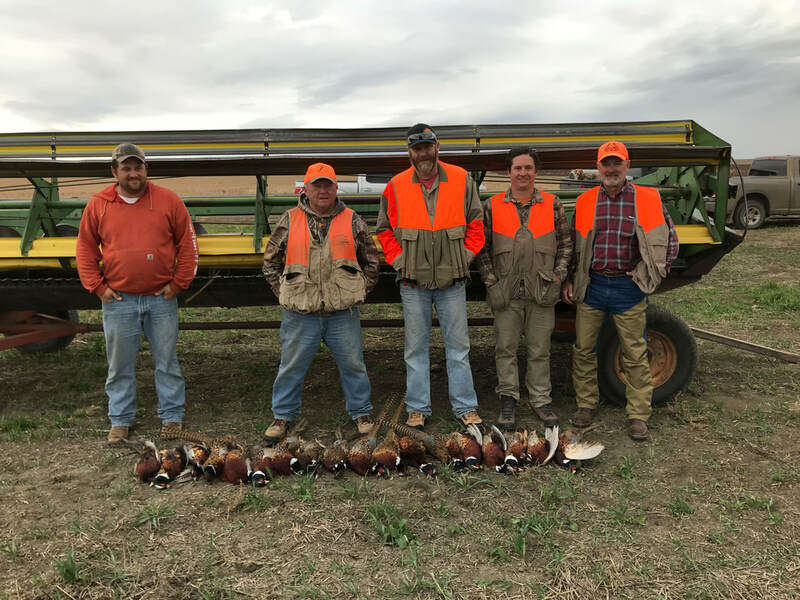 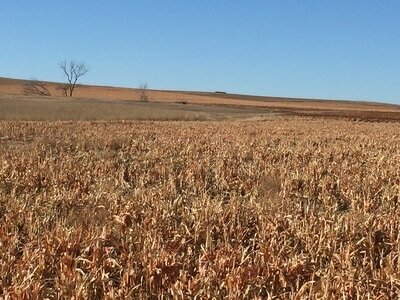 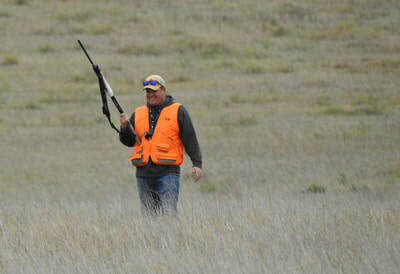 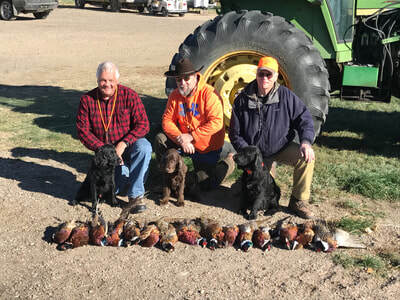 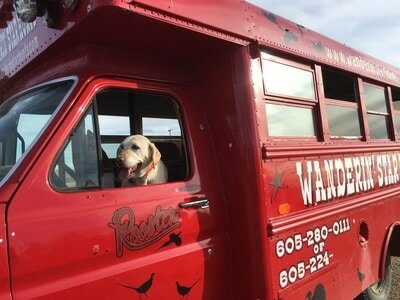 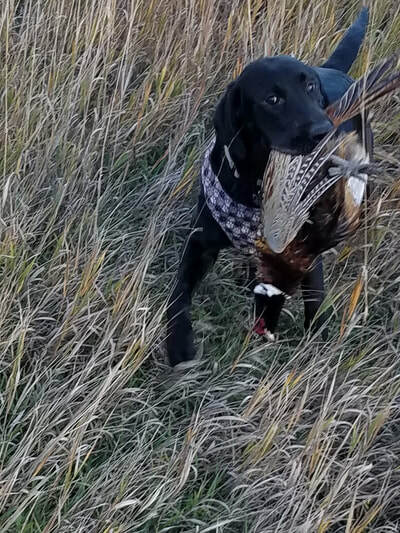 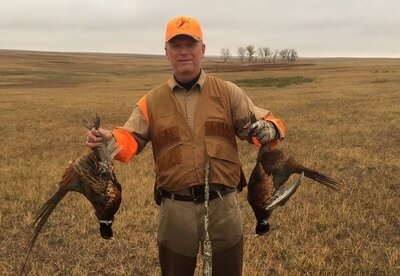 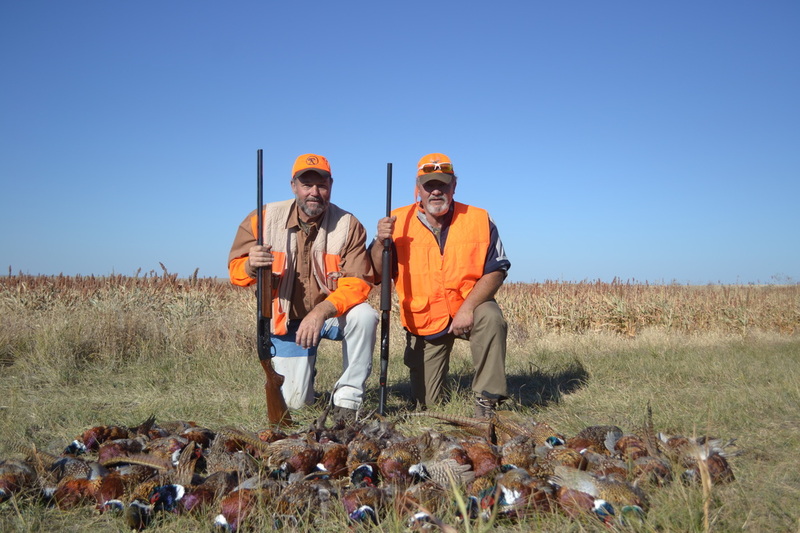 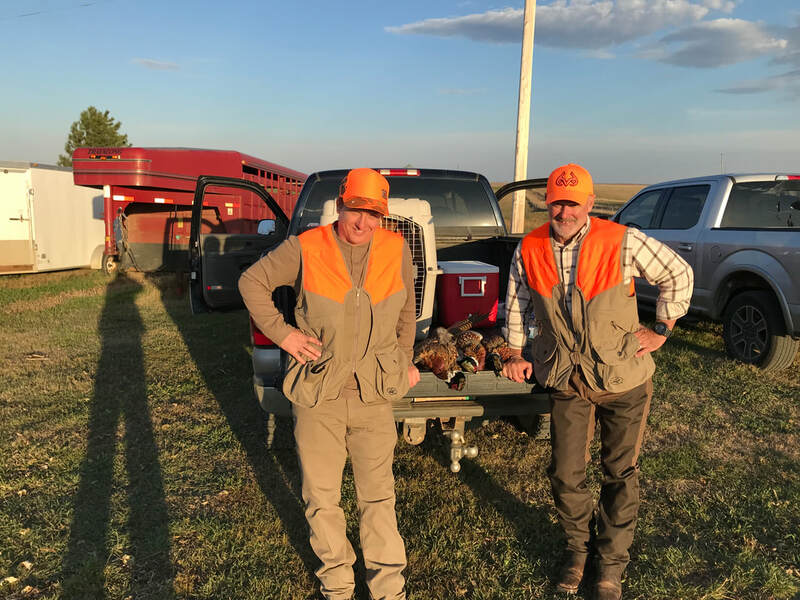 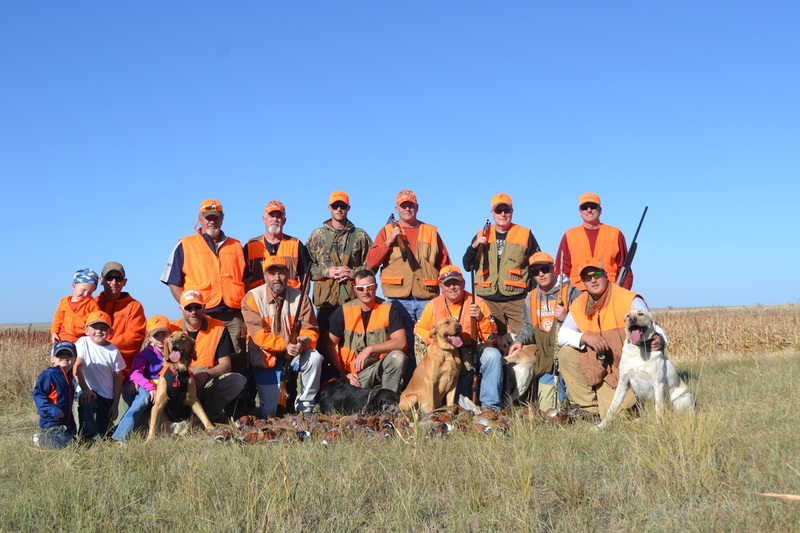 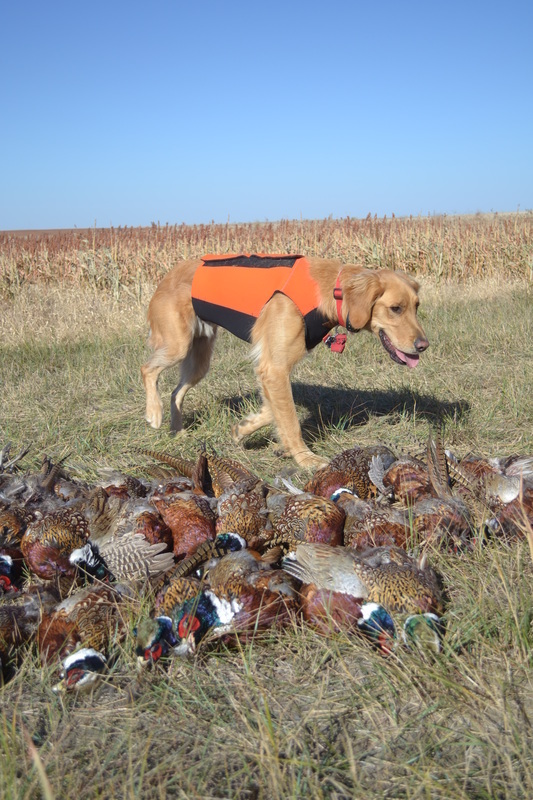 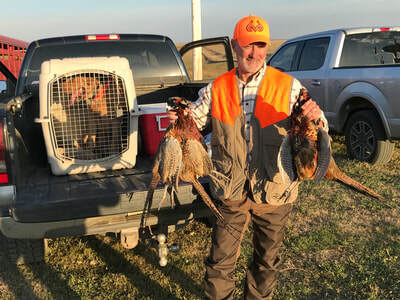 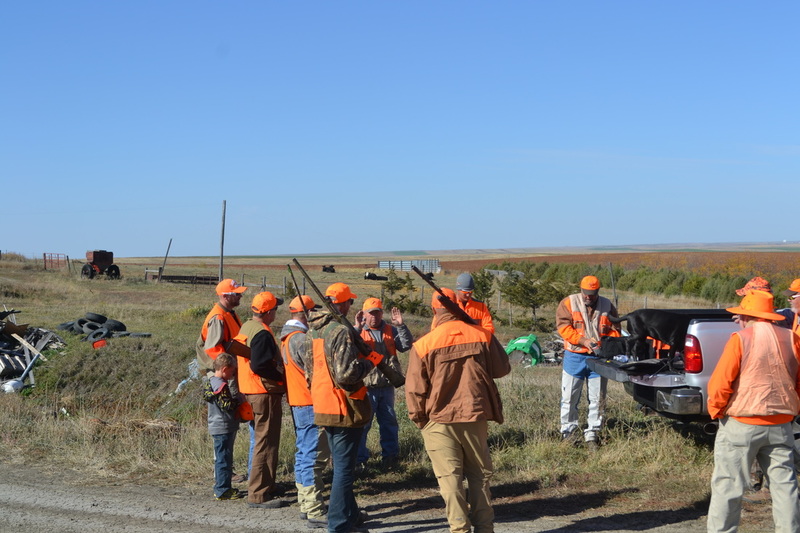 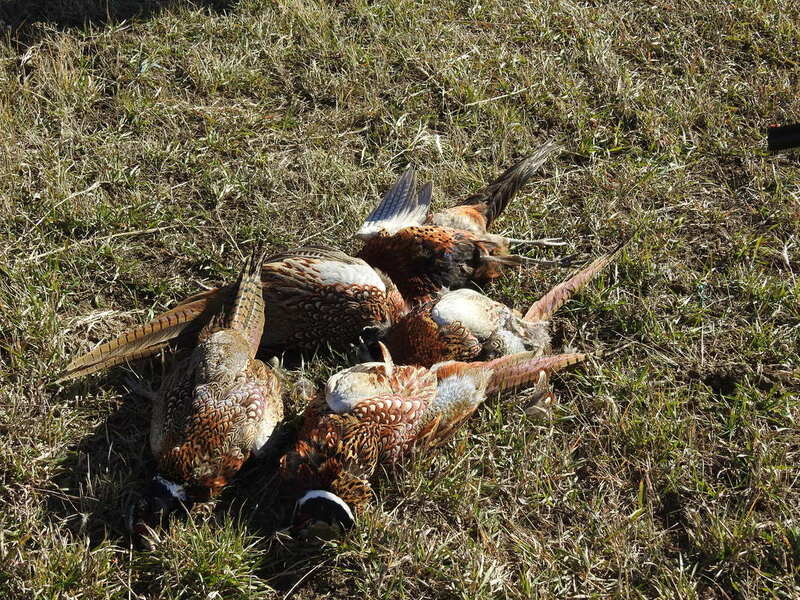 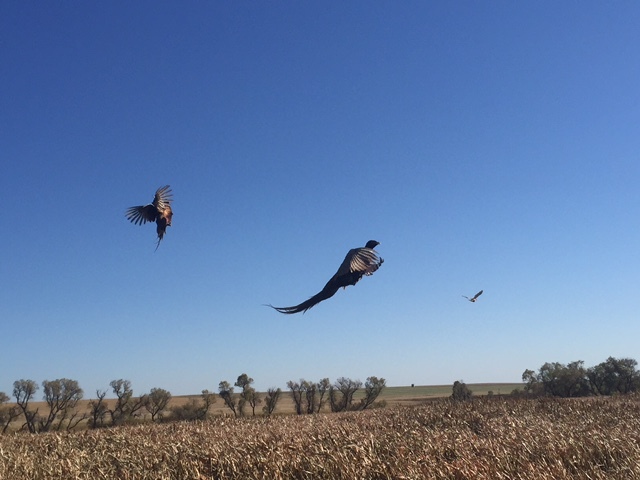 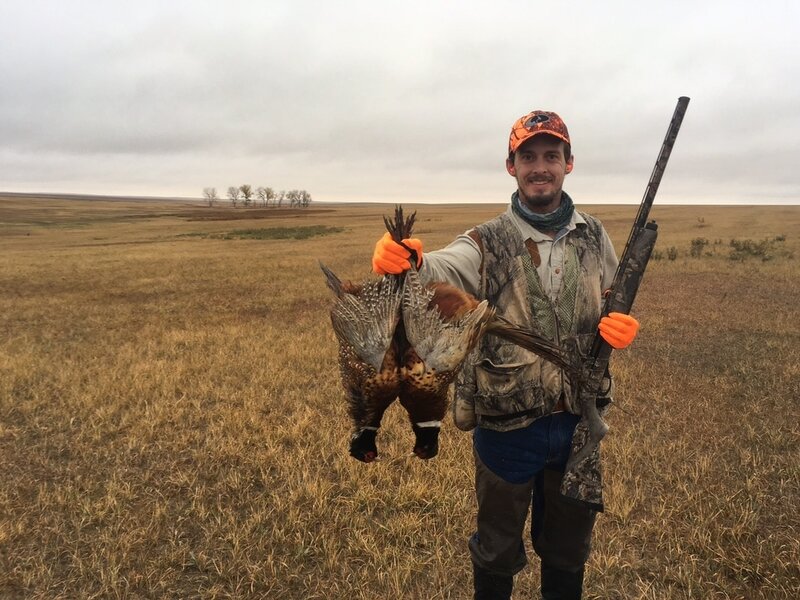 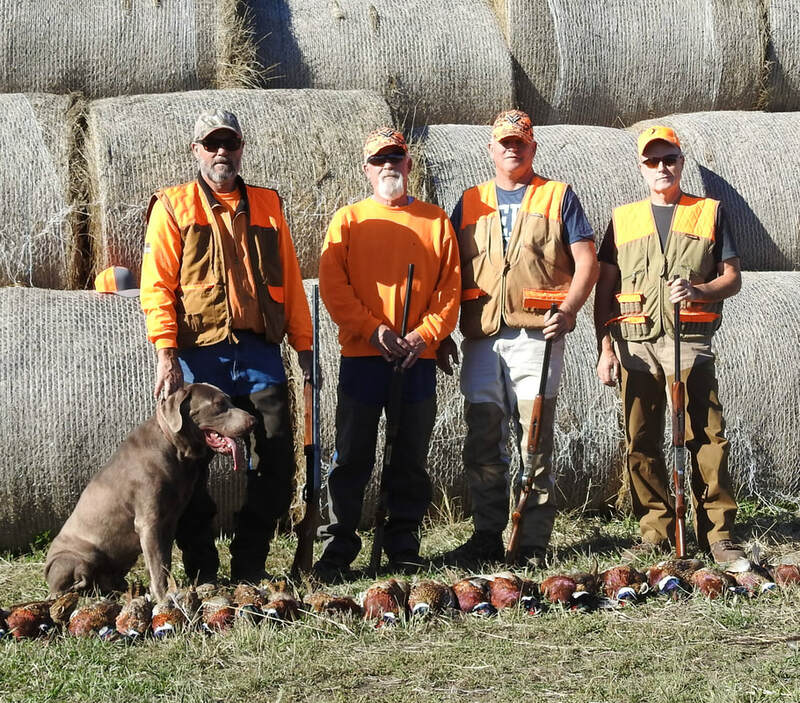 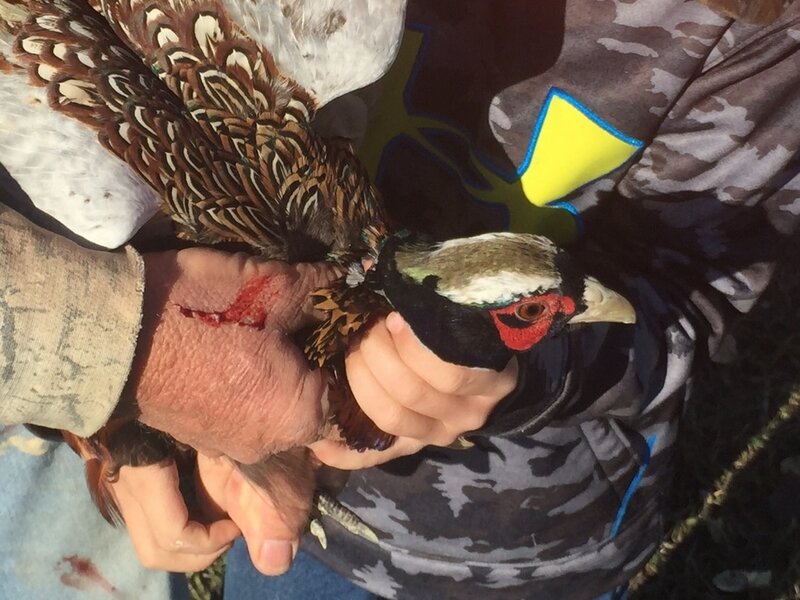 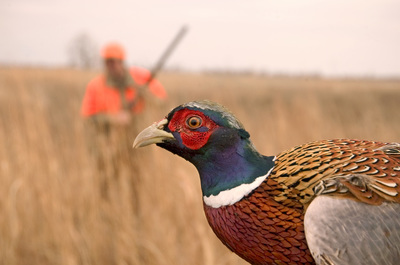 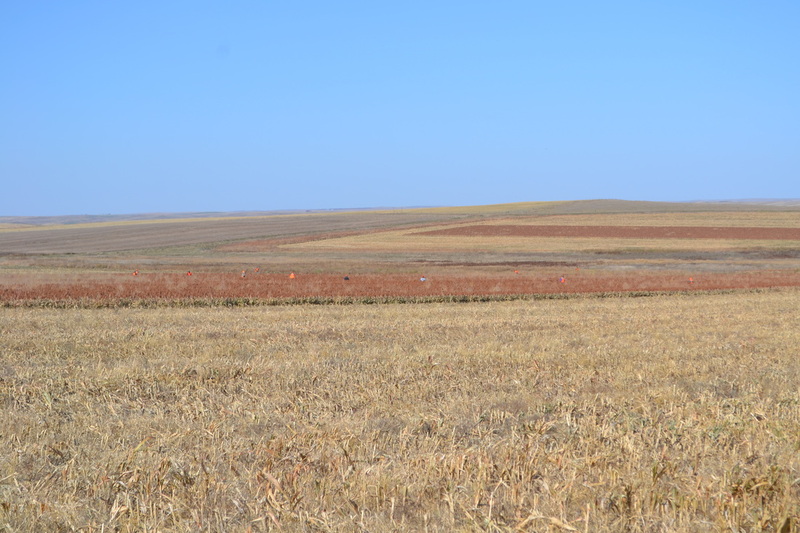 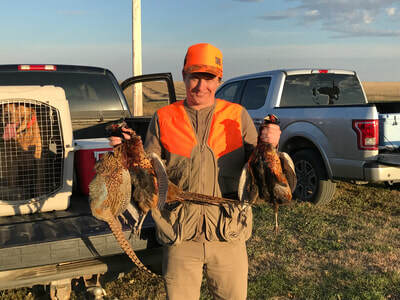 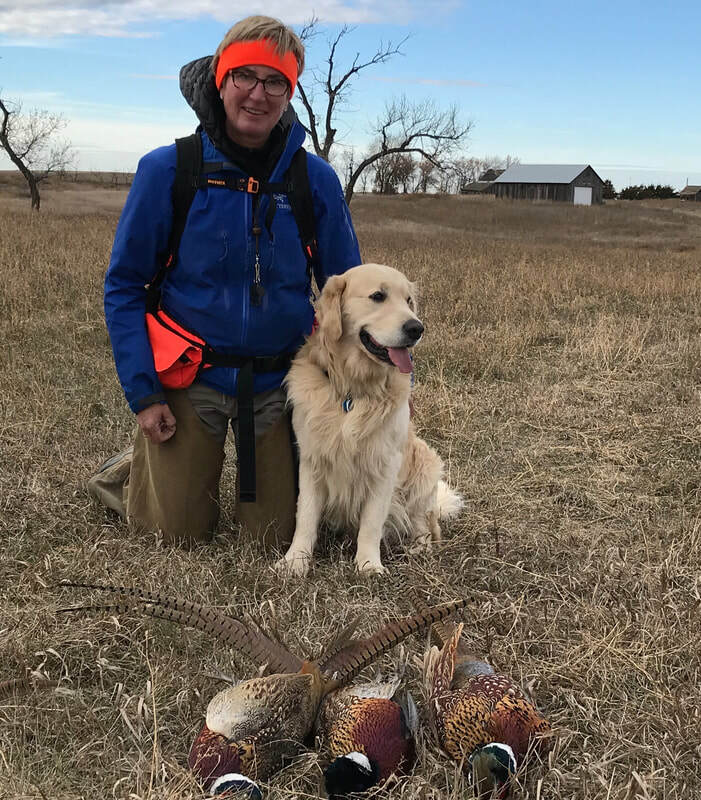 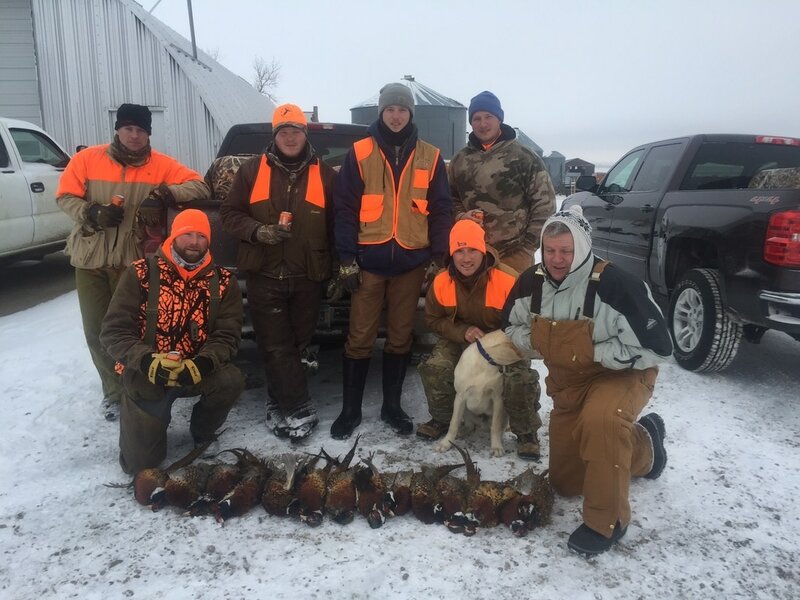 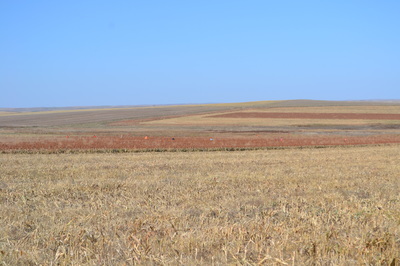 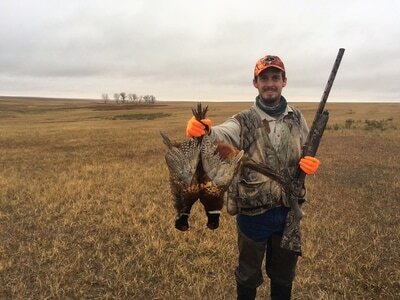 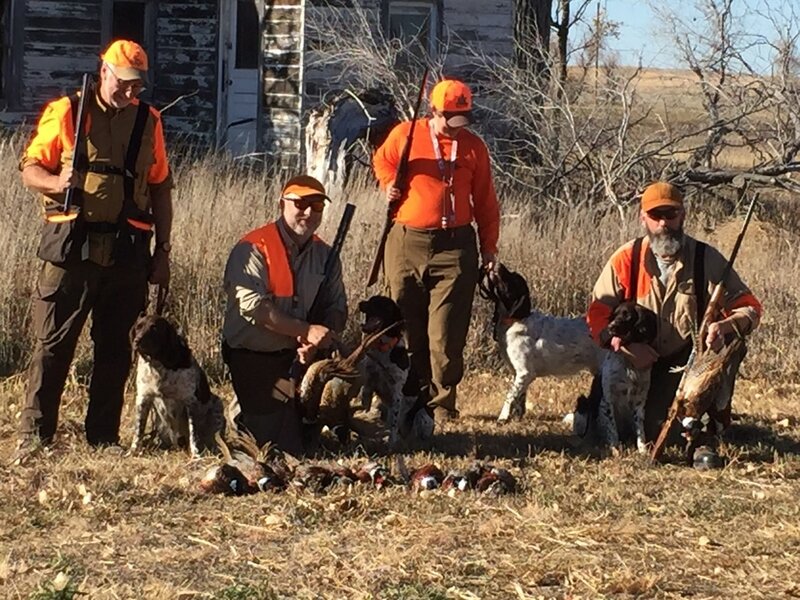 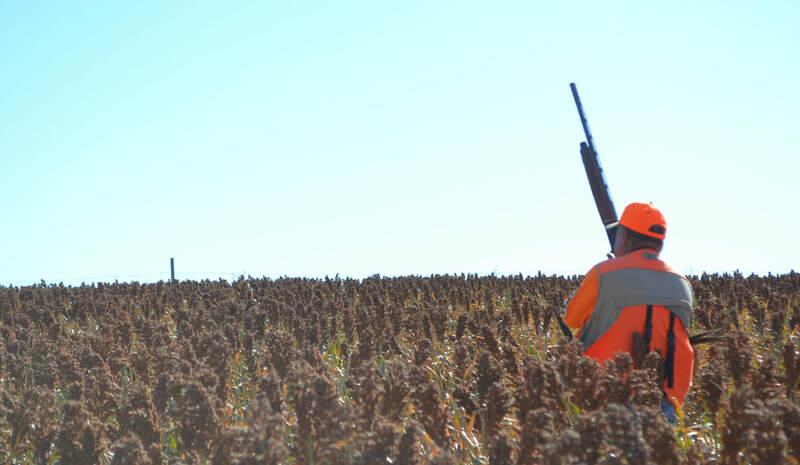 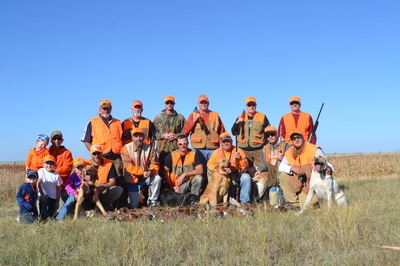 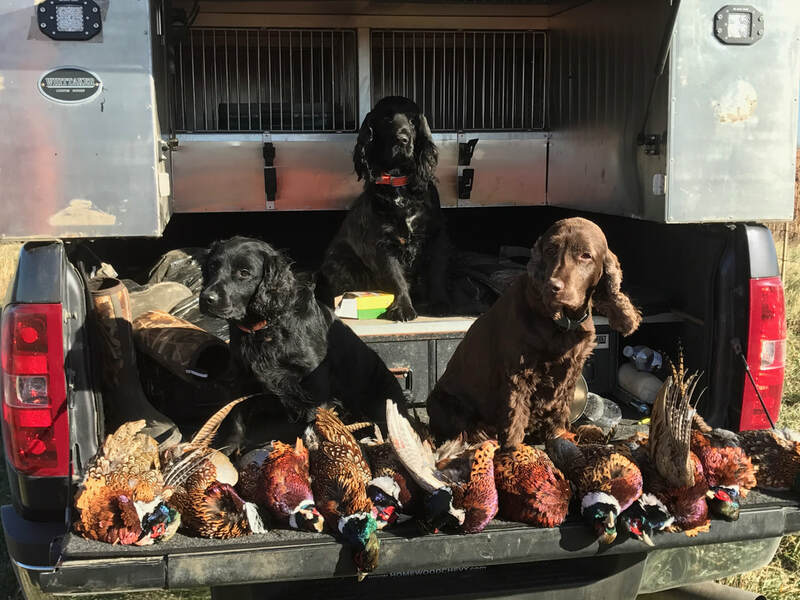 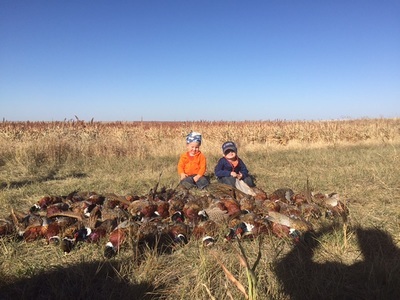 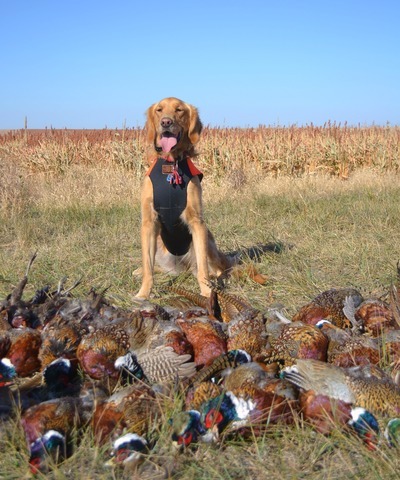 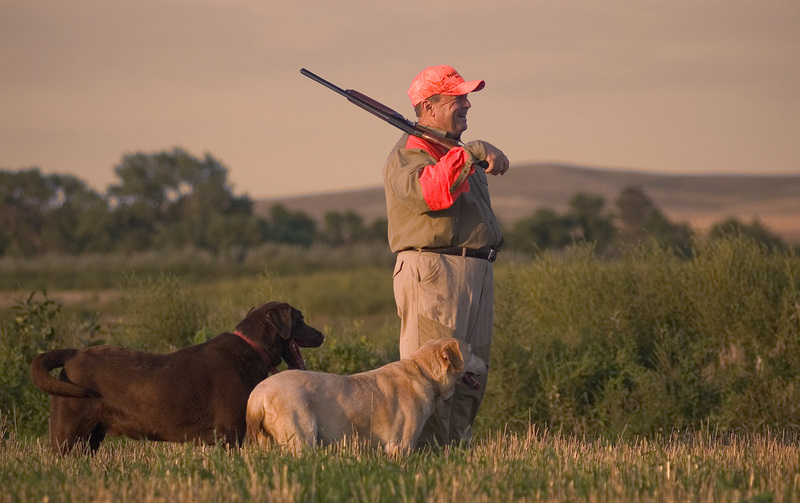 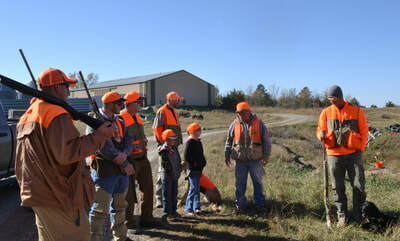 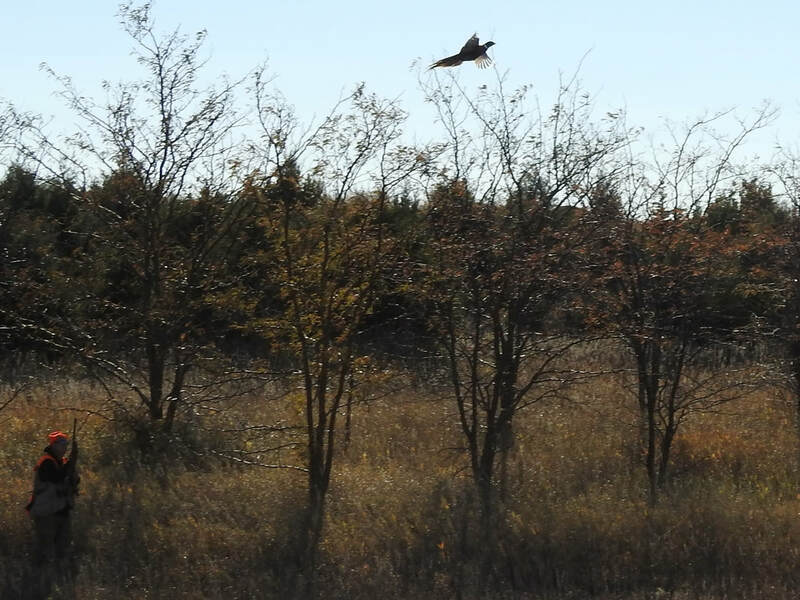 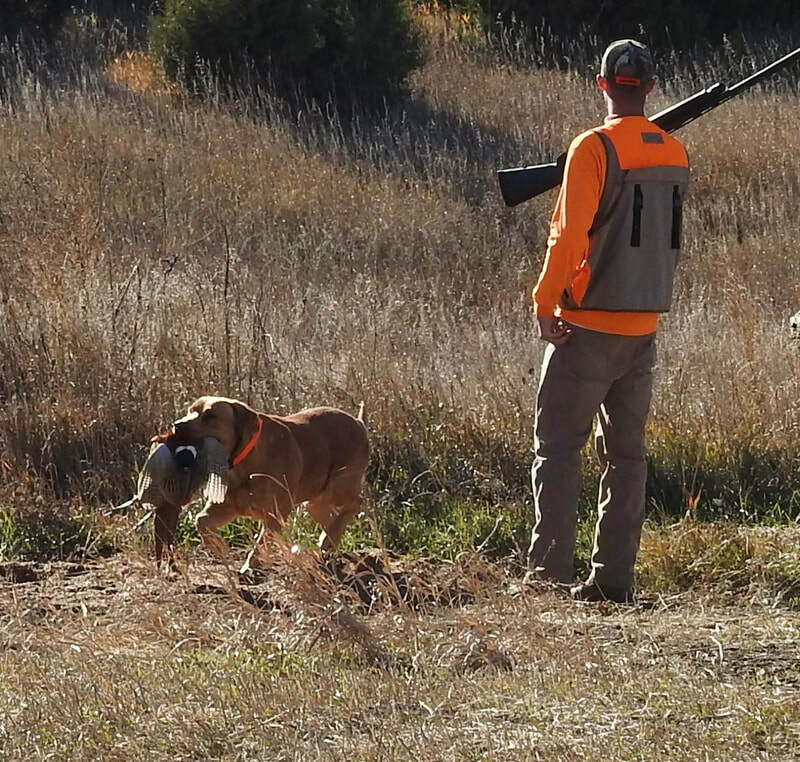 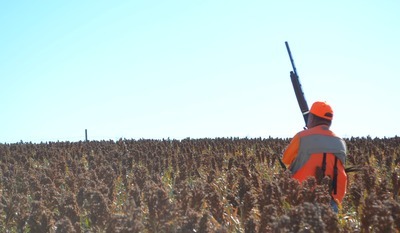 Let Us Take you Pheasant Hunting Today! 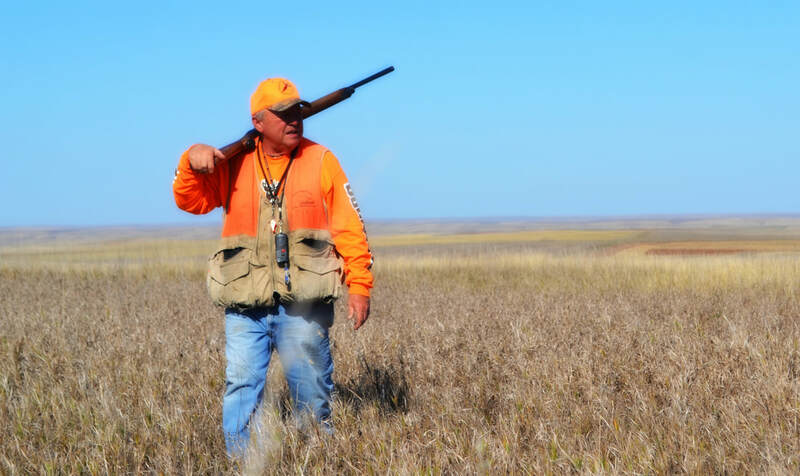 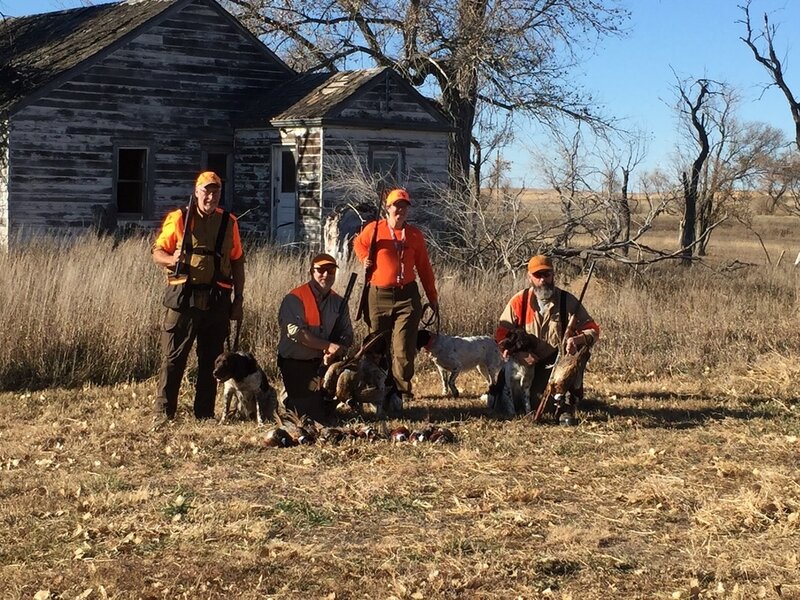 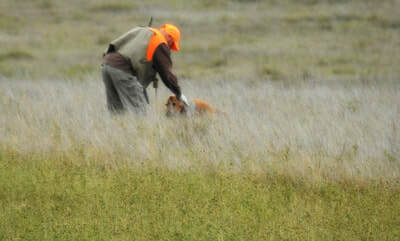 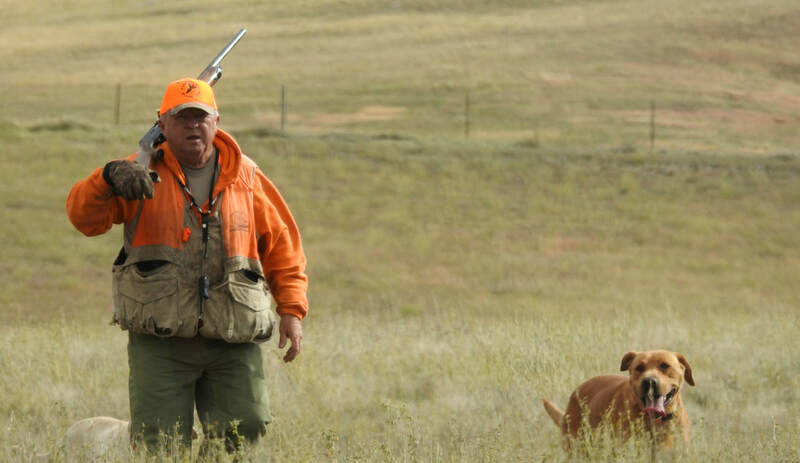 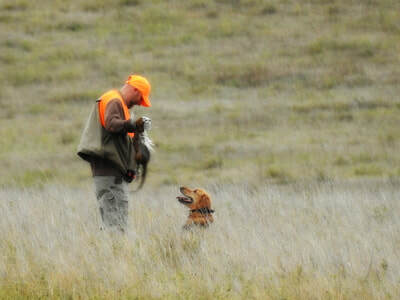 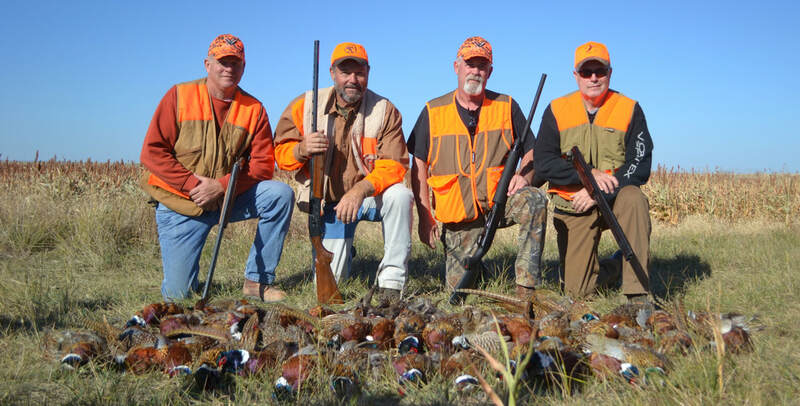 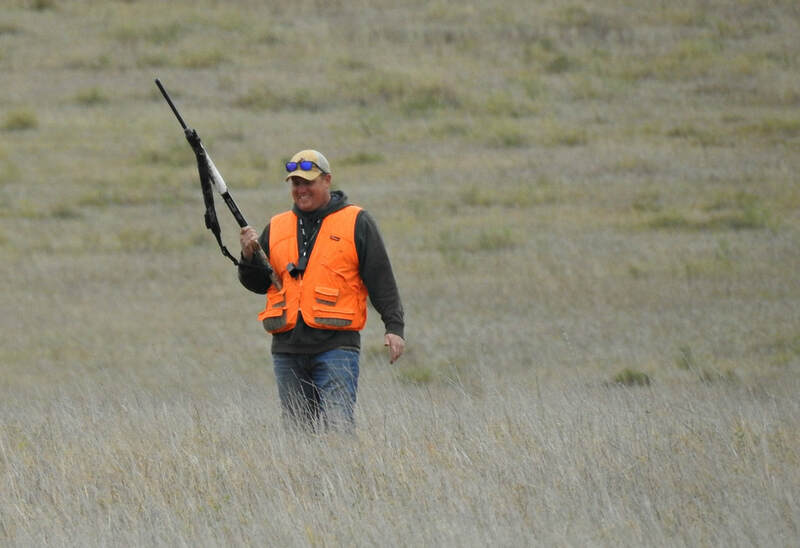 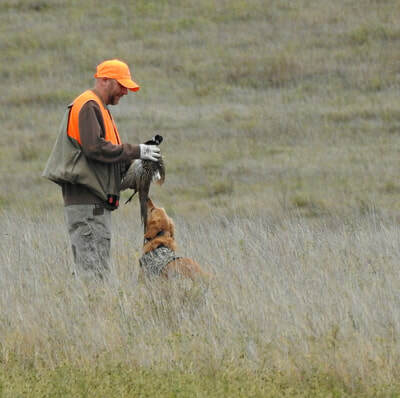 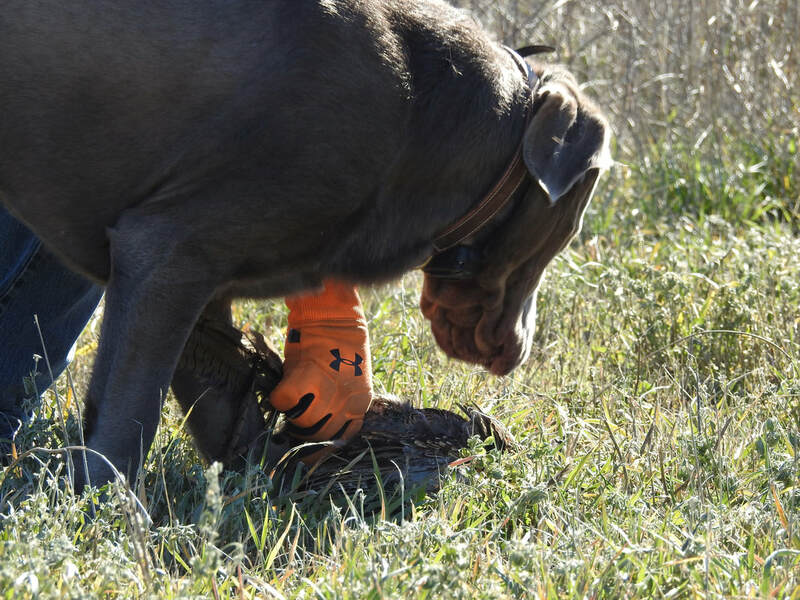 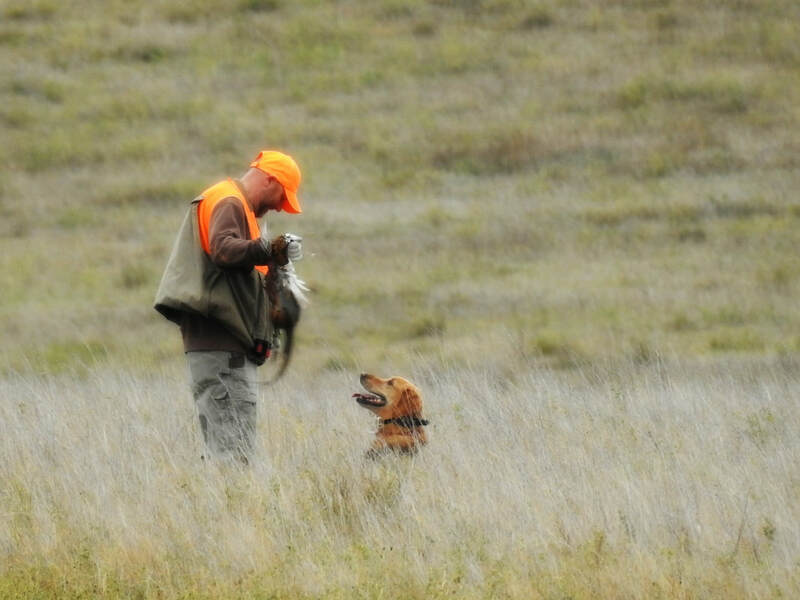 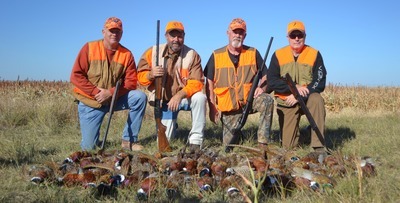 We offer a variety of habitat and scenery to make your hunt a memorable experience. 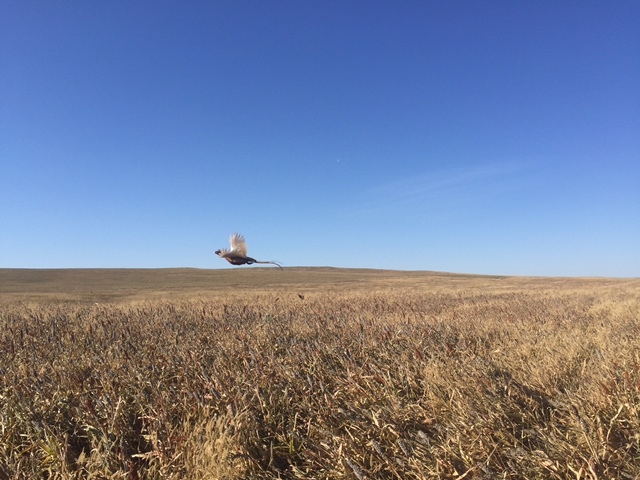 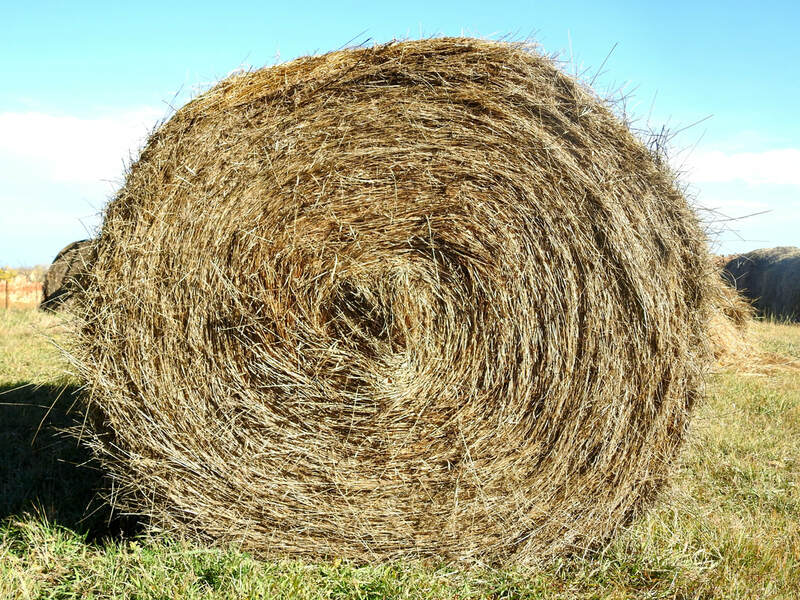 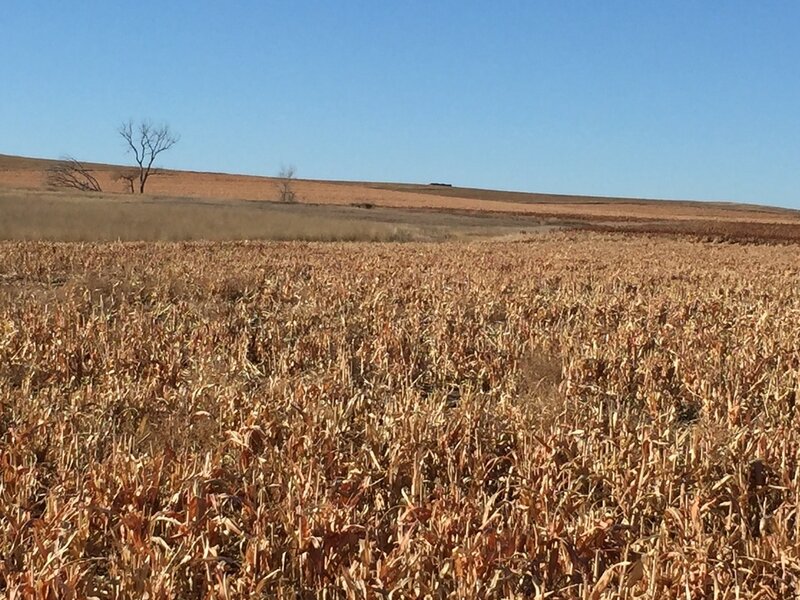 With crop rotations, pastures, grassy draws, stock-dams, established tree belts and new tree plantings, we have the habitat and food to enhance the wide variety of wildlife on our land. 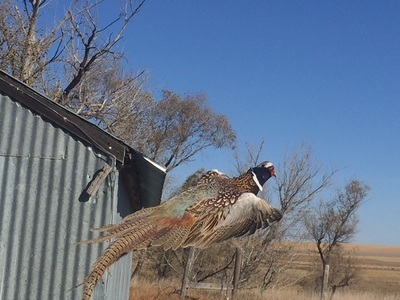 The main emphasis of Wanderin' Star Hunts is pheasants, but while hunting you may experience many other types of wildlife. 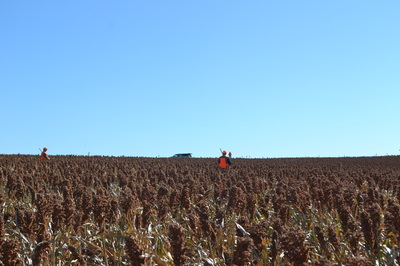 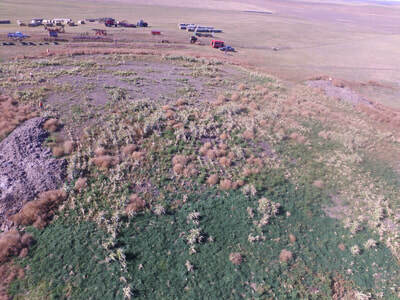 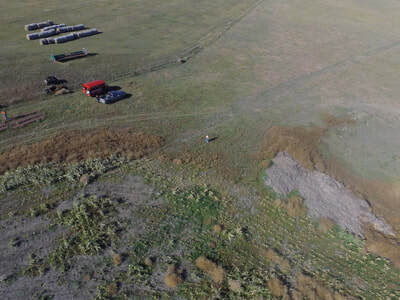 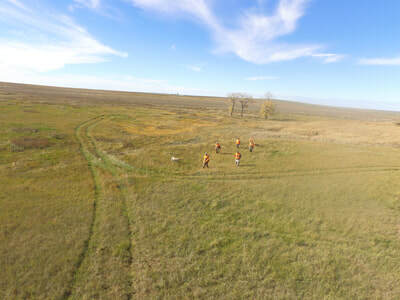 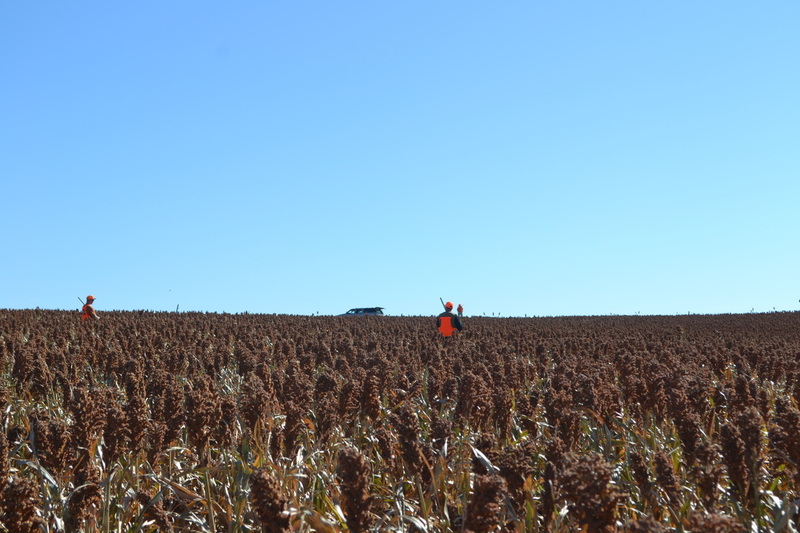 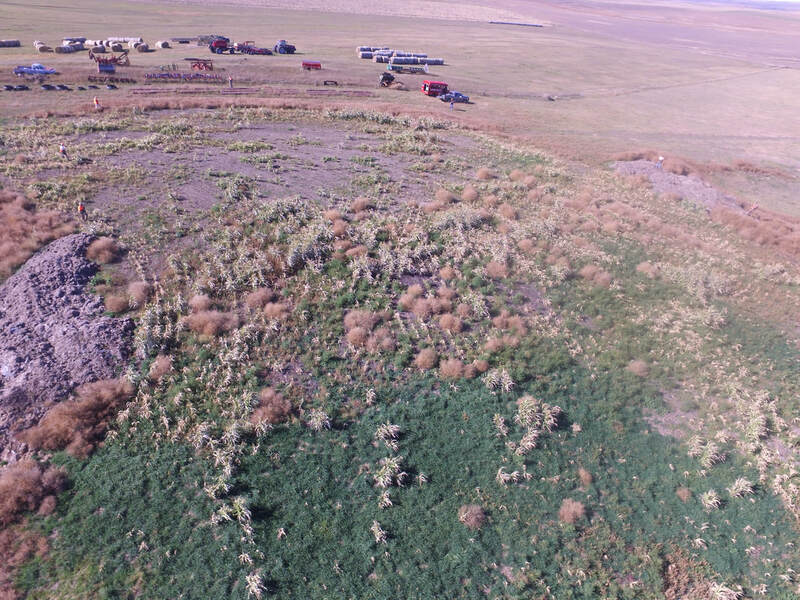 A birds eye view of a successful hunt on our beautiful habitat! 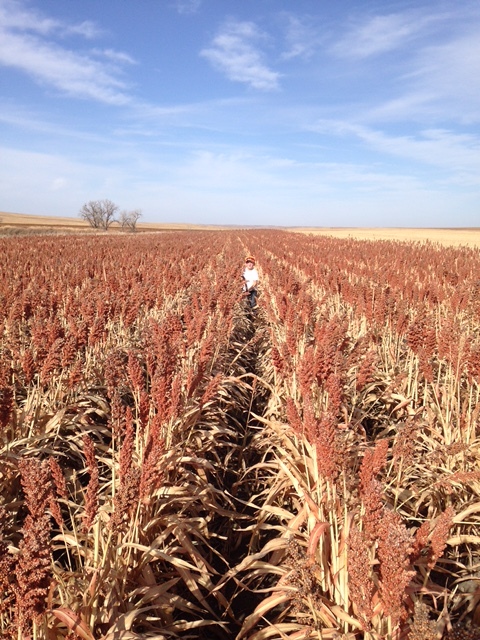 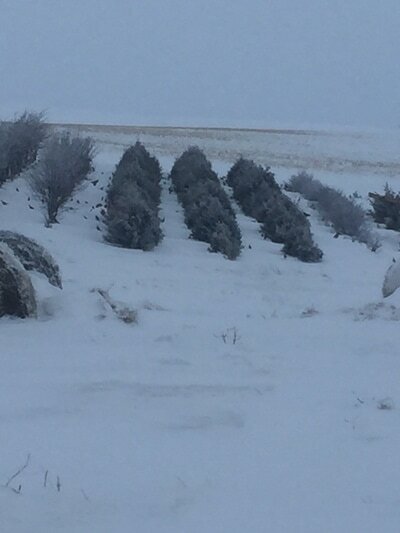 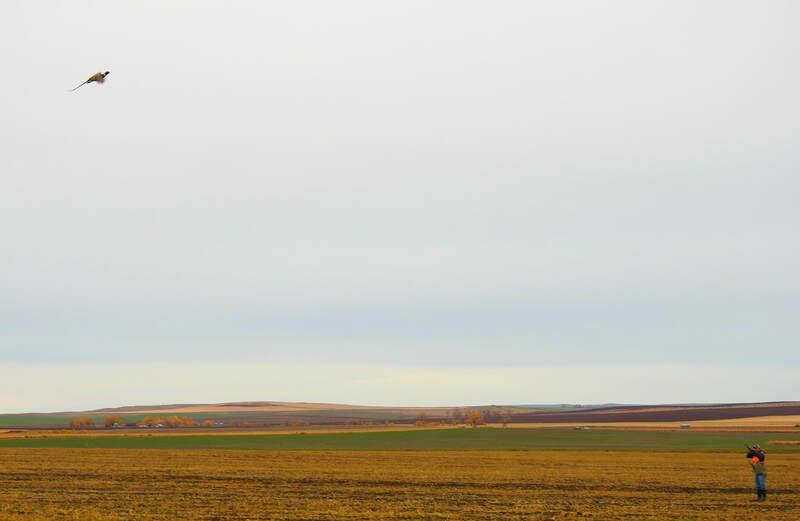 We are located 38 miles South of Pierre, SD on US-83 to I-90. 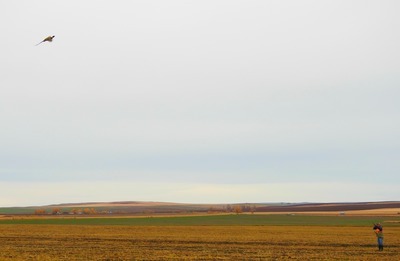 Go across the interstate bridge on to US-53 for 3 miles. 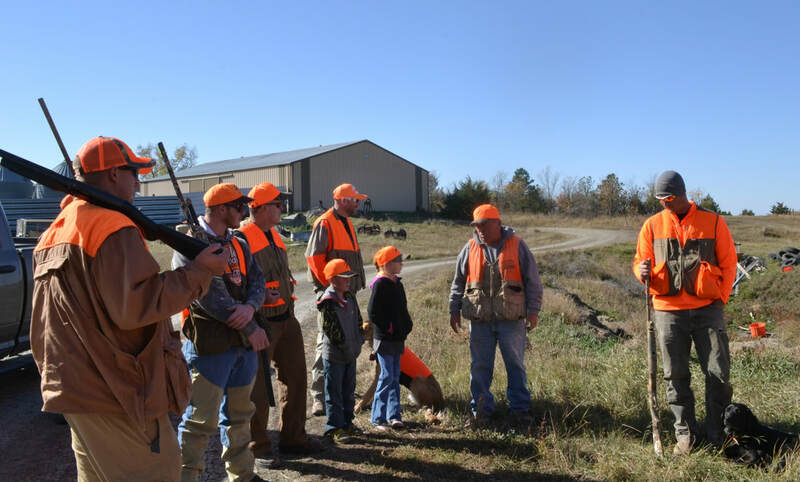 Turn West on 244th St. Go 2 miles and turn right into the first driveway at the farm, the Headquarters of Wanderin' Start Hunts!